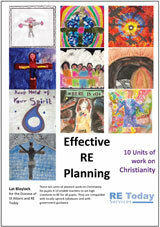 These ten units of planned work on Christianity for pupils 4 - 14 enable teachers to set high standards in RE for all pupils. 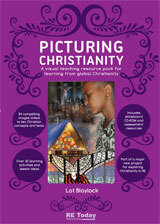 They are compatible with locally agreed syllabuses and are provided in hard copy and on the accompanying CD. All ten units share a common format: the opening pages cover issues of planning, aims and learning intentions, vocabulary and concepts, meeting the range of learning needs, continuity and progression and assessment. There is always a substantial resources section. Each unit then moves on to make extensive and detailed teaching and learning suggestions for the ten to twelve hours or lessons that the work is planned to occupy. These always respond to a key question of enquiry which drives the learning, and the questions tend more to issues of meaning, purpose and value than to mere information gathering. 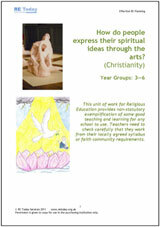 How Do People Express Their Spiritual Ideas? Symbols of Faith and Signs of Belonging: Why are they important?